A famous post-colonial theorist once penned the words: “Those who have no history have no voice”. In the absence of a history, you have no choice but to create one; however, the danger here lies in what you pick and choose to serve as your narrative. In an age where opinion is being presented as fact and where the truth has become subject to redaction, interpretation or wholesale fabrication, it has become ever more important for us to do the extra legwork and discover the objective truth, acclimatising ourselves to it rather than sticking to our own convoluted ideas and prejudices. Okay; where am I going with this? 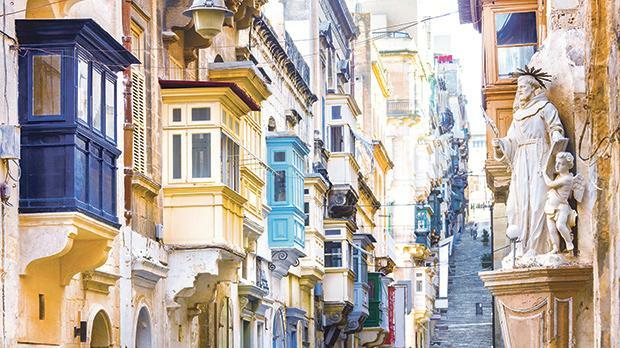 The debate about the Maltese people’s roots has waged on for centuries. Saddled with an unwritten history and a very particular way of looking at ourselves, many of us cannot appreciate the way the rest of the world perceives us or the way our small, isolated country complexes have crippled us. Now I’m no DNA specialist, nor have I frequented every country in the world, but a look in the mirror tells me conclusively that I am definitely not Nordic. Putting aside the fact that I can easily have a conversation with anyone in Algeria, Lebanon and most countries in between pretty much in my mother tongue and that, whenever I go to these countries I can see very obvious parallels in the way they build, dress, eat and see the world, perhaps the most troubling conversation I had recently was with a group of very young Maltese teenagers. They were shown a dress that would not have looked out of place on a Lebanese (or Maltese) television series: it was covered with crystals of every colour and was, quite simply, one of the most ostentatious things I had ever seen. Yet despite this fact or probably because of it, every girl in the group ‘oohed’ and ‘aahed’ with obvious pleasure. The minute I told them it came from a North African catwalk, they were visibly perturbed and a couple of them even told me that they didn’t think the dress was nice anymore. It is this kind of internalised self-hatred and failure to embrace our very visible roots which contributes to our odd sense of cultural alienation, to our constant need to identify and adopt that which is alien. We have introduced trees, flowers and whole building concepts which have nothing to do with our history, culture, landscape or identity. We have liberally taken to Italianising everything from our food to our cafés, despite the fact that most Italians will easily tell you that we’re anything but Italian. Fuelled by a mistrust of our own ideas and creativity, we regularly import concepts, words and aesthetics while marginalising and superficially erasing that which differentiates our country from your average Sicilian village. Maybe this year we should make more of an effort to embrace ourselves instead of trying to be a second-rate version of someone else.